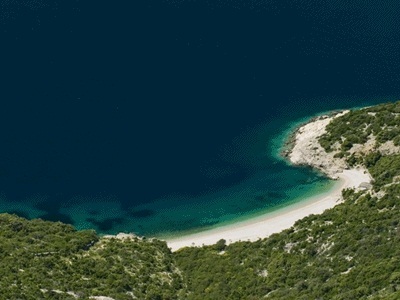 Two kilometres from Baska Voda, in Brela, there is the pebble beach Punta Rata. It was awarded the Blue Flag label for its high environmental and quality standards and it was enlisted as one of the top 10 beaches of the world by the magazine Forbes. Clear sea and pine wood shade will be a hiding place from sun’s heat. The beach has an organized lifeguard service which makes it an ideal choice for families with children. 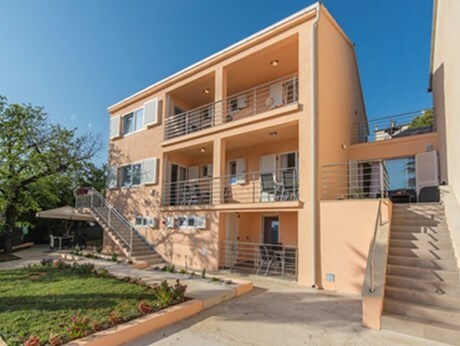 It is surrounded by bars and restaurants and it has a sports equipment rental service, which makes it the top destination for those looking for entertainment. 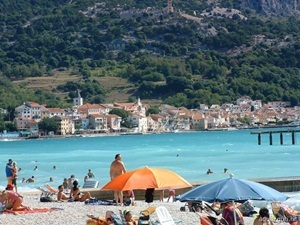 Situated on the south side of the island of Brac, in Bol, the beach Zlatni Rat is, according to the British magazine Daily Telegraph, the most beautiful beach in Europe. On the beach there are numerous outdoor showers, bars and restaurants, and it is possible to play tennis, volleyball or 'picigin'. Those looking for a real adrenaline adventure will enjoy surfing or jet-skiing. A pine tree wood that surrounds the beach will give you shade from the hot summer sun. All of this makes the best beach in Europe a top quality destination for both families and young people. In Baska on the island of Krk, 10 kilometres from the place Punta, there is one of the most beautiful pebble beaches in Kvarner. Vela plaza, the holder of the Blue Flag label, is situated in a hidden cove. 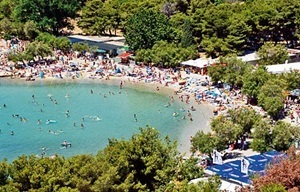 It is 1.8 kilometres long and it is considered an ideal place for families with children and non-swimmers. It is possible to rent a scooter or a pedal boat on this beautiful pebble beach, and the bravest ones can take a ride on a body slide or a waterslide. There is a great number of bars or restaurants there, where you can entertain all night. In Vodice there is one of the biggest pebble beaches in Croatia. Plava plaza is 4 kilometres long and it stretches all the way to Tribunj. 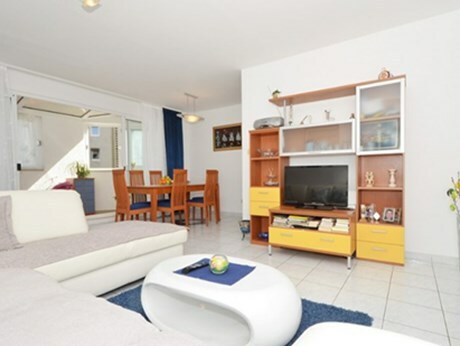 It was awarded the Blue Flag label for its high environmental and quality standards. All along the pebble beach there is a pine tree wood. Besides sunbathing, it offers the advantages of bars or restaurants. The adventurers will have the opportunity to learn diving and sailing. Because of the shallow sea it is an ideal destination for all generations. 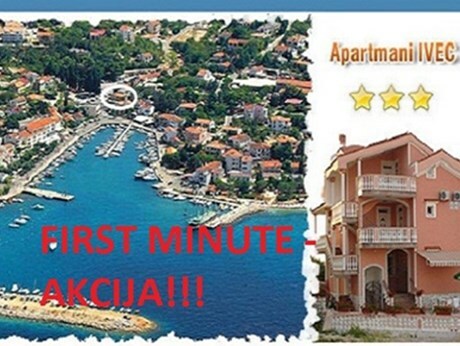 The pebble beach Kacjak is situated on the peninsula Dramalj, 3 kilometres from Crikvenica. 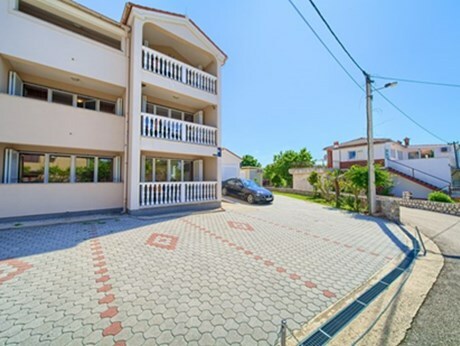 It is surrounded by rich Mediterranean vegetation on the one side and crystal clear sea on the other. It is a favourite destination of water sports lovers. Because its crystal clear is very shallow it is a perfect place for families with children. All along the beach there are outdoor showers, bars and restaurants, and the hidden coves nearby the beach are designated for nudists. 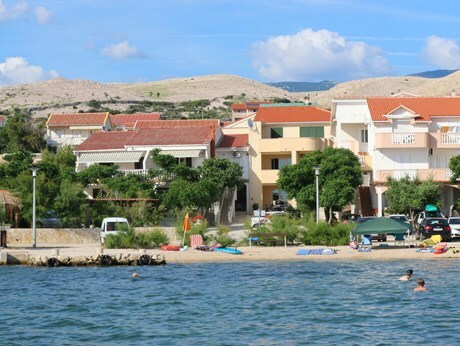 The hidden beach Sv.Ivan is located 22 kilometres from Cres. 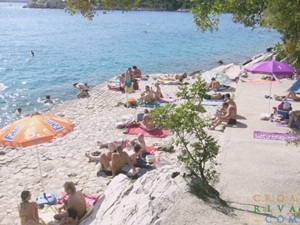 The beach, which was proclaimed one of the most beautiful beaches on the island of Cres, is situated in a hidden cove and surrounded by steep cliffs. Because it is remote and secluded, it is ideal for romantic couples and all those who want to get away from the city rush. The Robinson atmosphere means that apart from the beautiful vegetation and crystal clear sea, you will experience the lack of tourist facilities, therefore it is recommended to take some food and drinks with you – because there is an hour long climb to the first tavern. 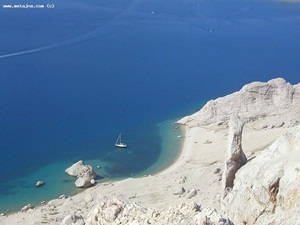 12 kilometres from Novalja on the island of Pag, there is the pebble beach Beriknica. The beach Beriknica is suitable for romantic couples and senior guests who will enjoy the beauties of the untouched Mediterranean vegetation and crystal clear sea. It is a favourite destination for adventurers as well, because the rocky cliffs that surround it are great for doing extreme sports and mountain climbing. The nearest cafe and restaurant are 2 kilometres away, therefore it is recommended to take the refreshment with you. 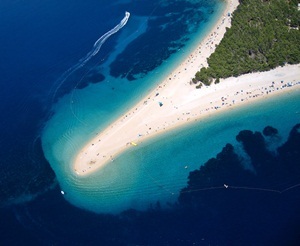 One of the most significant pebble beaches in Croatia is Kolovare beach, situated in the city of Zadar. Recently it has been made accessible to people with disabilities. Next to the beach there are a couple of ice-cream parlours and cafes and the parking lot. On the pebble beach there are sanitary facilities and outdoor showers; there are tennis and volleyball fields, as well. Families with children will feel especially safe there, for the beach is under the attentive watch of lifeguards. 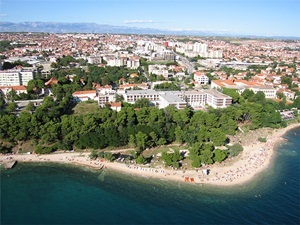 The main town 1,5-kilometre-long beach Gradska Plaza is 200 metres from the centre of Crikvenica. It was awarded the Blue Flag label for its high environmental and quality standards. It is accessible to people with disabilities; the bars and restaurants that surround it and the proximity of the town centre make it a favourite gathering place of the youth. Above the beach there is some rich Mediterranean vegetation which gives shade in the hot days. There are possiblities of taking up some water sports or renting deck-chair and beach umbrellas for simply lying in the sun. 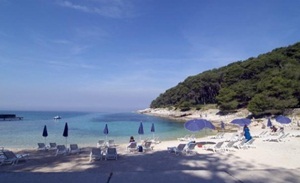 Situated in Suncana Uvala in Mali Losinj, there is the Blue Flag labelled pebble beach Veli Zal. 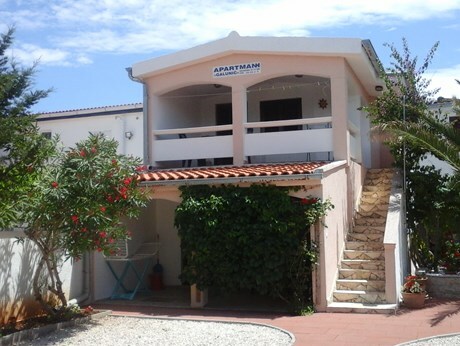 Because of its flat sea entrance it is especially popular with families with children. Above the pebble beach there is a walk in the pine trees shade. Veli Zal beach is surrounded by restaurants, bars and outdoor showers. The available sports activities are volleyball, bowling, aerobics, or water sports. The rental deck-chairs are available for those who would just like to lie around.